Glaucoma is a group of diseases that damages the eye’s optic nerve usually caused by raised pressure within the eye. If left untreated, it can cause blindness. Glaucoma usually develops without early symptoms and progress slowly. Detection requires regular screening and monitoring by an optometrist or ophthalmologist and early referral for diagnosis and treatment to prevent deterioration and loss of vision. It is so important to get the diagnosing right both to direct treatment plans and also or insurance and driving purposes. It is all too easy to give an erroneous diagnosis. Mr Kheterpal is pendantic about ensuring that the diagnosis is made correctly and appropriately and takes time to understand your own medical and home and work circumstances to enable the best treatment or no treatment) plan to be made with you. The most common form of glaucoma is called primary open-angle glaucoma. It occurs when the drainage meshwork of the eye gradually becomes less efficient at draining fluid. As this occurs, your eye pressure, also called intraocular pressure (IOP), rises. Raised eye pressure leads to damage of the optic nerve. Damage to the optic nerve can occur at different eye pressures among different patients. Mr Kheterpal may establish a target eye pressure for you that he or she predicts will protect your optic nerve from further damage. Different patients have different target pressures. Typically, open-angle glaucoma has no symptoms in its early stages and your vision remains normal. As the optic nerve becomes more damaged, blank spots begin to appear in your field of vision. A less common form of glaucoma is closed-angle, or narrow-angle, glaucoma. Closed-angle glaucoma occurs when the drainage angle of the eye becomes blocked. Unlike open-angle glaucoma, eye pressure usually goes up very fast. Although normal eye pressure is consider a measurement under 21mm Hg, this can be misleading. 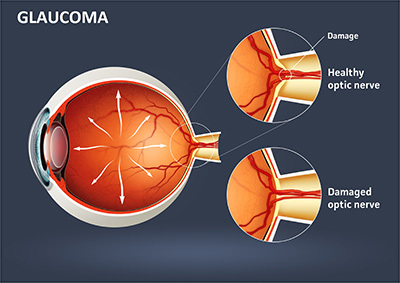 In those who have a type of glaucoma called normal-tension, or low-tension, glaucoma, their eye pressure is consistently below 21mm Hg but optic nerve damage and visual field loss still occur. People with normal-tension glaucoma typically receive the same methods of treatment used for open-angle glaucoma. Some people who have elevated eye pressure but do not yet have glaucoma may also benefit from treatment with eyedrops. are described as having ocular hypertension. Glaucoma maybe detected by eye examination and tests such as visual fields, HRT and OCT scan. Laser scans of the optic nerve such as the HRT and OCT disc scans provide accurate measurements to enable better monitoring and detection of any change so that treatment plans can be optimised. 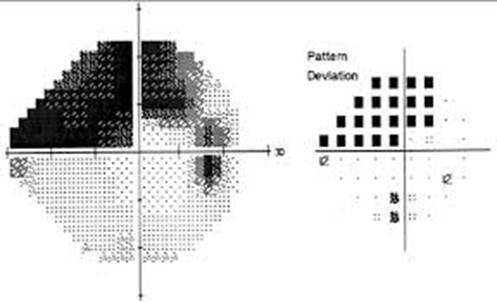 Testing of the visual field can help to establish any pattern of visual field loss and monitor any progression. It is also important when dealing with the DVLA and issues about eligibility to continue driving. High resolution optic disc scans can increase the resolution of the disc images to send to primary referrers. Once glaucoma is diagnosed, treating it is a team effort between you and Mr Kheterpal. How your glaucoma is treated will depend on your specific type of glaucoma, the severity of your disease and how it responds to treatment. The most common way to treat glaucoma is with medicated eye drops. The eye drops must be taken on a daily basis. Just like any other medication, it is important to take your eye drops regularly as prescribed. In Some patients with glaucoma, medication does not work effectively so surgery is recommended. Glaucoma surgery improves the flow of fluid existing the eye, resulting in the lower eye pressure. To treat open-angle glaucoma, a procedure called laser trabeculoplasty is sometimes used. During surgery, a laser makes tiny, evenly spaced burns in the trabecular meshwork. Even if laser trabeculoplasty is successful, some patients continue taking medications after surgery. The laser trabeculoplasty successfully lowers eye pressure three quarters of the time, but for many people the surgery is not a permanent solution. Nearly half who receive this surgery develop increased eye pressure again within five years. Many people who have had a successful laser trabeculoplasty have a repeat treatment. To treat closed-angle glaucoma and patients with dangerously narrow drainage angles, a procedure called laser iridotomy is recommended. In laser iridotomy, a laser creates a small hole in the iris to improve the flow of aqueous fluid to the drainage angle. When laser iridectomy is unable to stop an acute closed-angle glaucoma attack, or is not possible for other reasons, a peripheral iridectomy is performed. The peripheral iridectomy is performed in an operating room. A small piece of the iris is removed, giving the aqueous fluid access to the drainage angle again. Because most cases of closed-angle glaucoma can be treated with medications and laser iridotomy, peripheral iridectomy is rarely necessary. Trabeculectomy is a procedure that creates a new drainage channel for the aqueous humor to leave the eye. When the risk is high that trabecuplasty will fail, aqueous shunt surgery may be recommended. An An aqueous shunt is a small plastic tube or valve connected on one end to a reservoir (a roundish or oval plate). The shunt serves as an artificial drainage device and is implanted in the eye through a tiny incision. iStent inject is the smallest medical device known to be implanted in the human body. 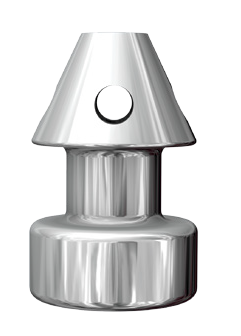 The iStent inject measures just 0.36mm long and is made of titanium. WHO IS SUITABLE FOR THE iStent inject ? 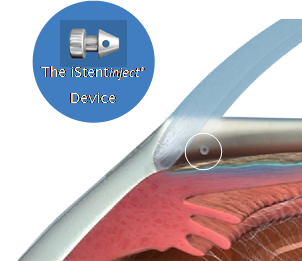 The iStent inject trabecular Micro-Bypass System is designed to reduce intraocular pressure safely and effectively in patients diagnosed with primary open-angle glaucoma, pseudo-exfoliative glaucoma or pigmentary glaucoma. 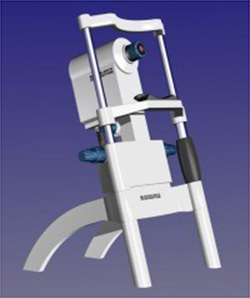 Studies have shown the device to be safe and effective when implanted in combination with cataract surgery, or as a stand-alone procedure, in those patients who require intraocular pressure reduction and/or would benefit from glaucoma medication reduction.1 The device may also be implanted in patients who continue to have elevated intraocular pressure despite prior treatment with glaucoma medications and conventional glaucoma surgery. Implanted at the time of cataract surgery, orina separate procedure, iStent inject is designed to create a bypass between the front part of the eye and its natural drainage pathway to increase the flow of fluid.By creating a permanent bypass through the primary blockage site (trabecular meshwork),iStent inject t is designed to )improve the eye’s natural fluid outflow. To safely lower intraocular pressure, and) work continuously to improve the natural flow of fluid in the eye. WHAT ARE THE BENEFITS OF iStent Inject? The iStent inject Trabecular Micro-Bypass System is designed to lower eye pressure and reduce the risk of vision loss from glaucoma.It may also reduce or remove the number of glaucoma eye drops you might be using now. An international study has shown 72 % of patients who were treated with iStent inject no longer needed to take glaucoma medication after 12 months. The iStent inject Trabecular Micro-Bypass System is implanted through a small, self-sealing incision in the clear part of the eye(cornea)using a small injector, and can be performed at the same time as a cataract surgery or by itself. 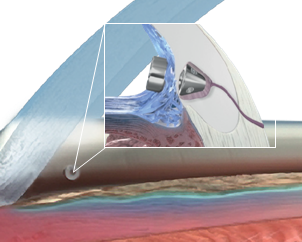 Once implanted, the iStent inject Trabecular Micro-Bypass System is designed to work immediately. iStent inject Trabecular Micro-Bypass System surgery and cataract surgery isusually completed as a day case, meaning that you should be able to go home the same day, but you will not be able to drive so you are advised to have someone collect you from the hospital or clinic. If you use eyedrops to treat your glaucoma, be sure to continue taking the medication as prescribed. There are a number of ways to treat glaucoma. Mr Kheterpal has 26 years experience of diagnosing and treating glaucoma and associated conditions. He utilises the latest diagnostic tools and has a wide range of treatment options available and will work to maximise treatment benefit whilst minimising impact on your daily life.